A quick look at the products that released. Let’s start with my favourites from this collection, Rosso Verona. A blush after my own heart! Although it may look intimidating in the pan, it actually delivers a very believable, natural flush which is perfect when paired with softly defined eyes and a good MLBB (my lips but better) lipstick. That being said, this product was soo pigmented I needed the lightest touch to get the desired intensity. 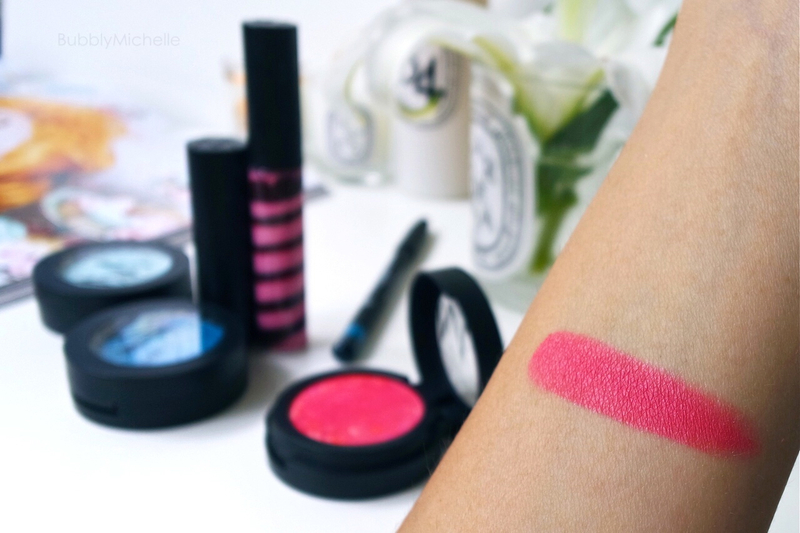 Those of you who love bright and well pigmented colours like Exhibit A by Nars or Illamasqua blushes, this would be right up your alley. Here’s the swatch. It actually IS this intense when swatched with a heavy hand and I am happy to report that it was never powdery and had a beautiful satin sheen. Between the two I find Atelier more to my personal taste. 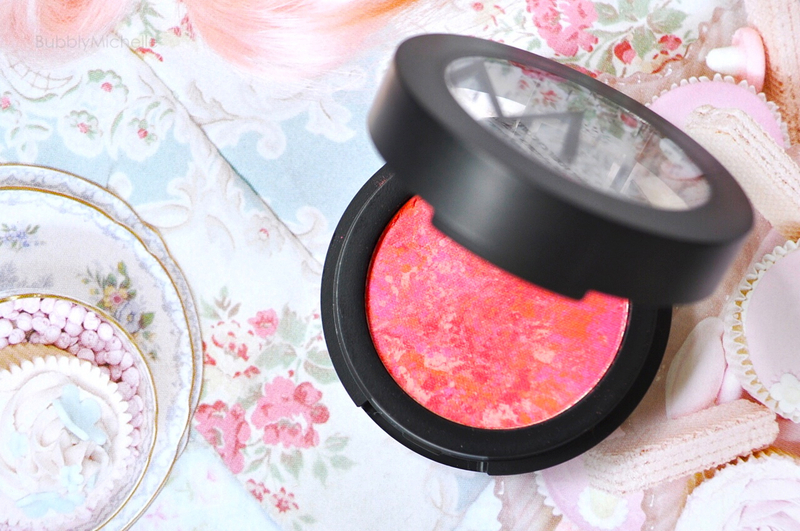 A pretty feminine shade to add some colour to the eyes. Atelier applies true to pan even on my medium complexion and shows up well. 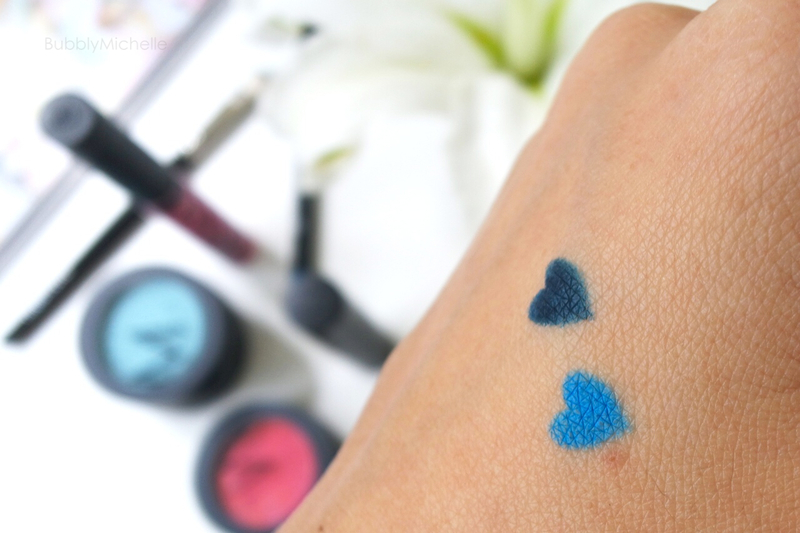 the pigmentation wasn’t very high, and slightly powdery during application.. 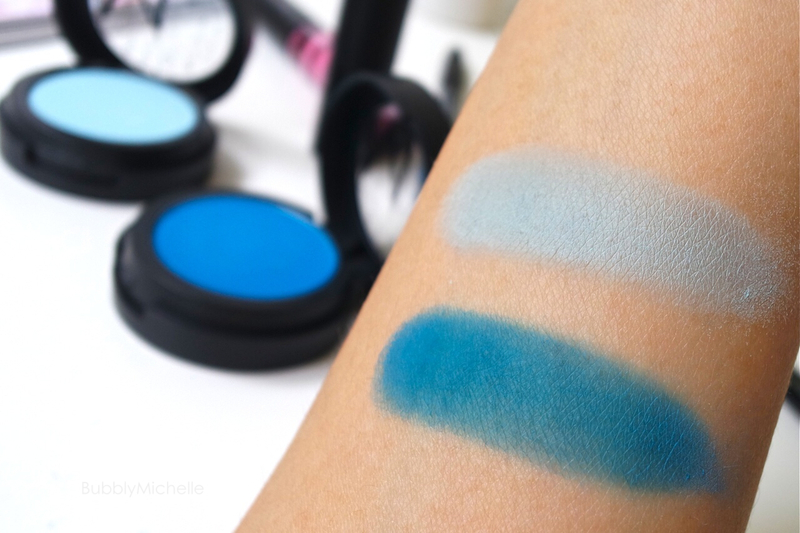 However I didn’t find it a difficult colour to work with as it can be built up to a good colour saturation and it was quite a welcome addition to my eyeshadow arsenal which lacks a good matte powder blue. I recommend using this over a primer to prolong wear. Paint is a bright medium blue. Which pulls rather teal when I apply it on my yellow toned skin. On those with neutral colouring this should show up more bluer. The colour payoff wasn’t stellar so building up was needed to achieve the more intense colour I was looking for. Normally Make Up Store matte eyeshadows are some of the silkiest and pigmented ones out there so I did feel slightly disappointed. 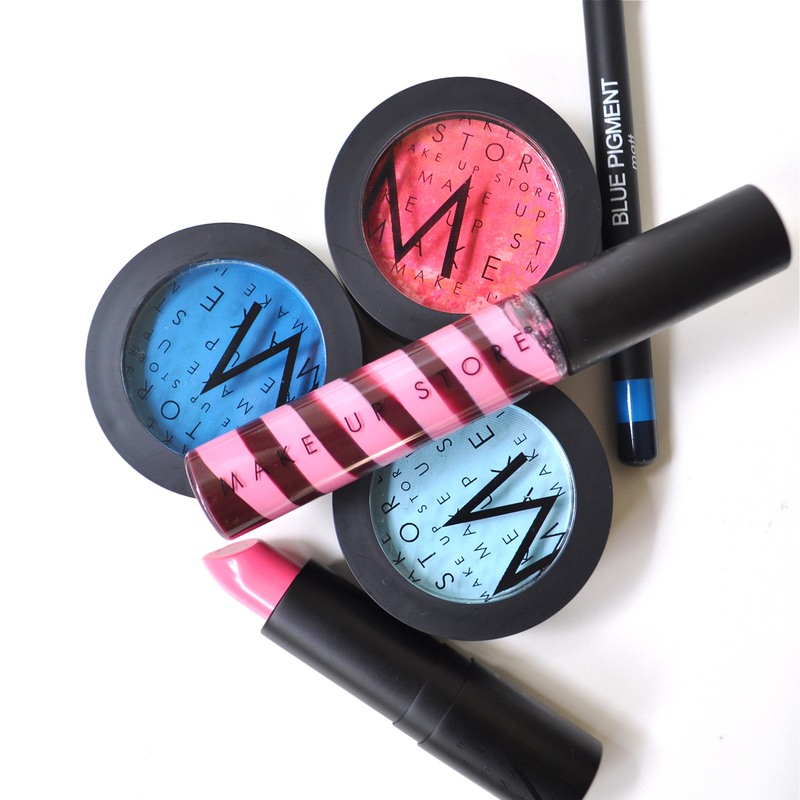 The mix of blue and navy can be used to create several eye looks without having to invest in two different products. Also the design enables you to even create an ombre look if desired and did deliver good colour though it did drag a bit on the lid. So i’m most excited about the candy inspired spiral duo gloss, Portrait! I love anything that’s inspired by sweets to be honest. Cupcakes, lollipops, macarons… the list goes on! So it was inevitable I fell for the packaging before I even opened the gloss! Luckily though it was not just a pretty face. It’s actually a well pigmented gloss that delivers good colour which translated semi opaque on the lips! Excellent formula. And at the price point I feel everyone should pick up one of these. The mix of the two shades, pink and burgundy created a dusty mauvey pink that’s very wearable day to day. I see myself using this a LOT. 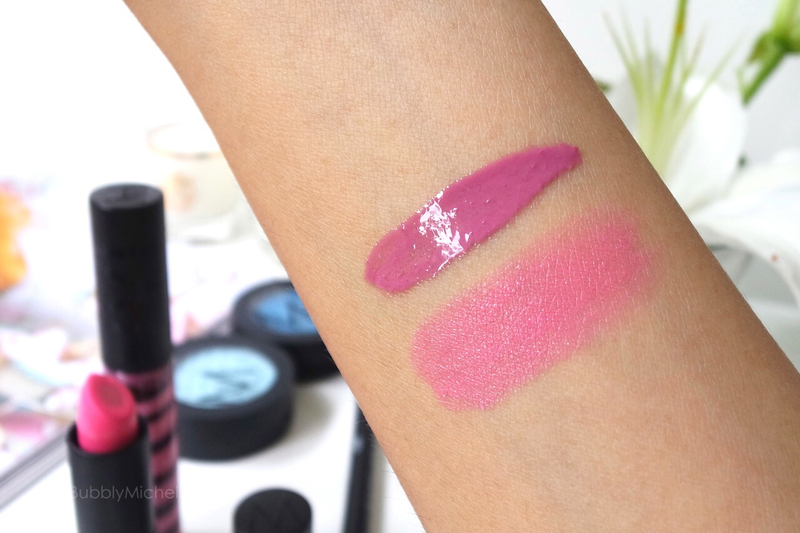 I specially believe those with even medium to darker skin tones would love this as it does show up on pigmented lips. 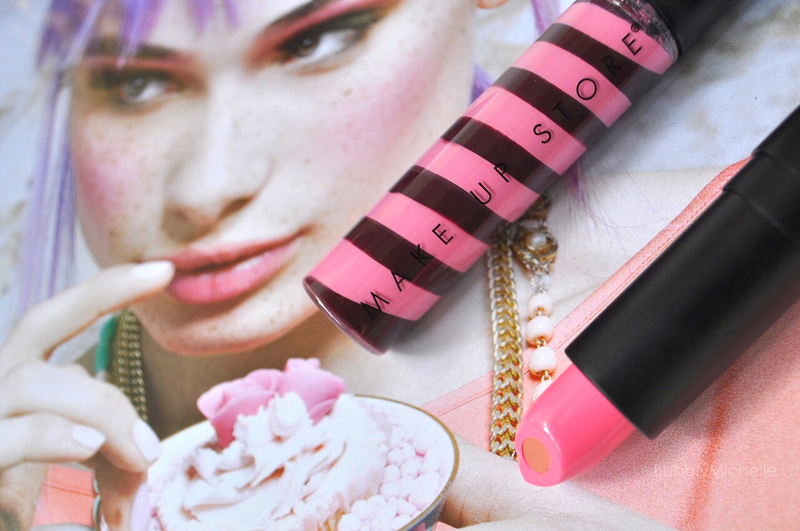 The lipstick Graphic is a soft pink. A shade more suited for fairer skin tones. I like the cute design with the sheer beige core. This is to give the lips a 3D effect so that once applied, the centre of the lips glisten and give more volume and depth. Since my lips are rather pigmented this doesn’t show up on me much. On fairer complexions this would look really pretty though. The texture of the pink feels a slightly dry, so application gets a bit uneven if you try to build it up and catches onto flakey bits. I suggest you give your lips a good scrub before slapping this on and wear it in a thin layer. For those who are interested in trying this collection I’d recommend the blush, the gloss and the light blue eyeshadow which is absolutely cute. I feel the powder blue paired with a satiny peach gold eyeshadow would look stunning! Make Up Store can be purchased at the stand alone store at Paragon 2nd level, also at Robinsons beauty department at Heeran as well as Vivo City. *All the products featured were a press sample I received for review when I attended the blogger event in July.